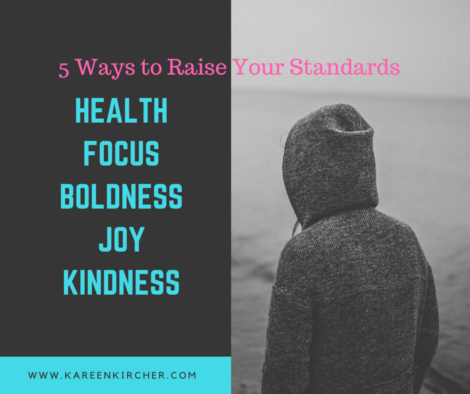 Your standards have a lot to do with your quality of life, and to achieve your goals. I was watching a video by Brendon Burchard recently, and here are 5 takeaways about things to focus on. The truth is we all need standards. Without them, how do we measure the quality of what we produce in life? How do we judge what we want to achieve in our personal development? When you have energy, you can keep going and going, even when the going gets tough. Eat better, and sleep more. Your boldness/courage. How courageous are you to live your dream, to pursue your goals, even when things are difficult. Most people are scared. Even if you’re a driven person, you need to keep trusting yourself more. Do you expect to have to have a good time in life? Approach your tasks with a spirit of fun. Demand and expect joy. Look for moments to see the bright side. Empathy and compassion are emotions. Kindness is an action, an expression of respect towards someone who’s going through something. Kindness requires conversing with, respecting and interacting with people without judgement. This is the way to be of service to humanity. Hope you enjoyed today’s brief post. Pass it on!